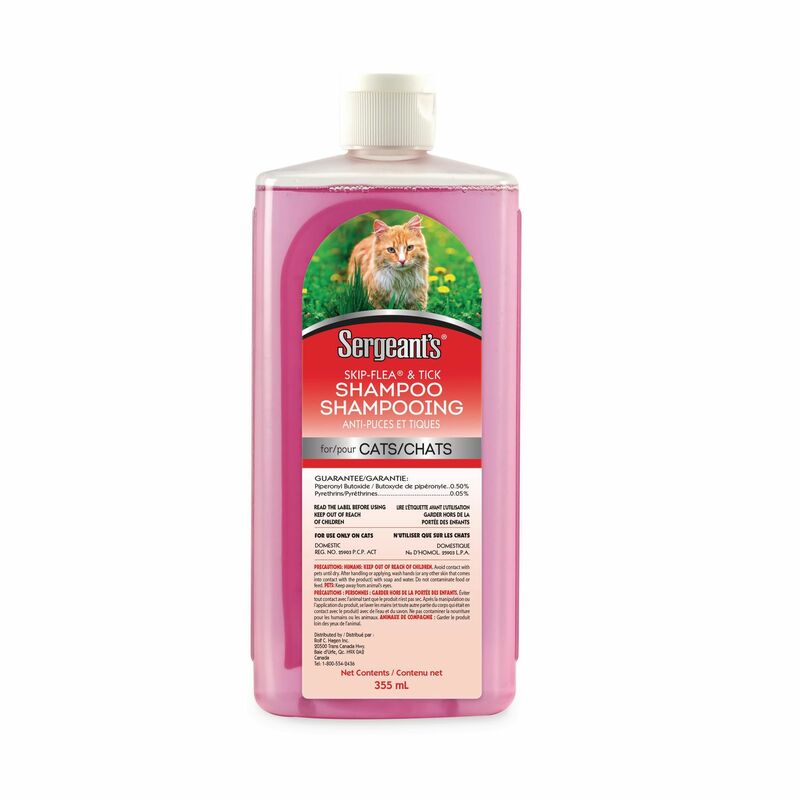 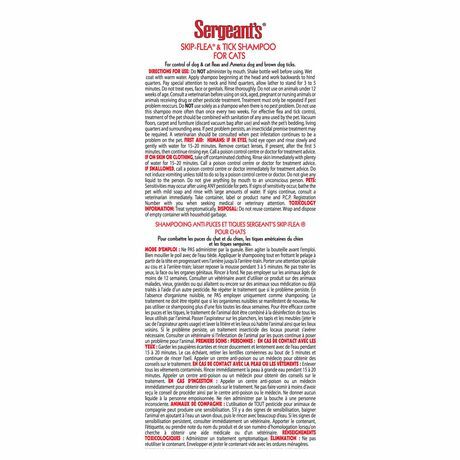 Sergeant’s Flea Shampoo for cats is designed to kill fleas and ticks on felines. The shampoo is part one of a two-step process. 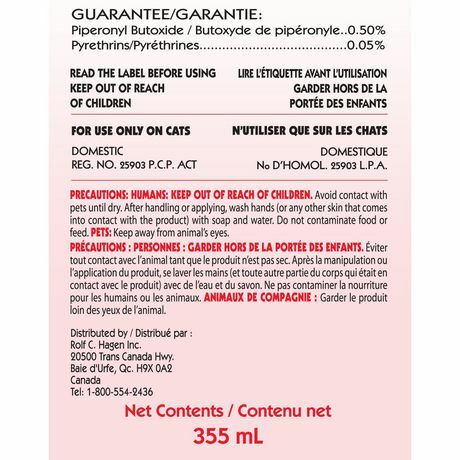 After shampooing your cat, you must use a cat flea spray (sold separately) to repel new fleas and ticks from infesting your cat.